We are often asked about the possibilities for sharing surveys to potential respondents. Indeed, there’s more to a successful survey project than the creation of an awesome questionnaire. A good marketing campaign is needed, too. Each Maptionnaire questionnaire is identified by an individual link. The best way to share survey URLs to the public is obviously through digital media. This can be done via email, social media, QR codes, or even through newspapers or local TV. Nowadays social media is one of the best ways to reach out to people. Following the saying “The currency of social media is the share”, sharing buttons can be easily added to Maptionnaire questionnaires. But, generally, sharing on social media with a good response rate requires certain expertise. We summarized how a few social media channels can be used to make the community aware of your next Maptionnaire campaign. More than one billion people are active on Facebook today. The amount of content that is shared daily increases rapidly. This is not necessarily a good thing because important content can get easily ignored. To avoid having this happen to your survey, we suggest putting an effort to crafting catchy posts. A short paragraph explaining what the survey is about coupled with an image, GIF, or video would do the trick. As with the Denver example, people often leave comments on the survey’s Facebook post. It’s smart to follow up with them: they can be considered a way of participating in the discussion and can include relevant information. Another way to get more traffic is reaching out to Facebook influencers and asking them to share your survey. These are very often people whose daily job revolves around Facebook and Social Media Marketing. They may ask for a fee but depending on the case, sometimes they also do it for free. In many countries and cultures, Twitter is less popular than Facebook. But often it is a place to hear the news before they are on any traditional news channel. To spread out the news on a specific topic more effectively, people use hashtags (a word or phrase preceded by the # symbol). It is impressive how far an on-point hashtag can reach. Similar to Facebook posts, it is important to create attractive tweets. Accompany your questionnaire link with a nice “call-to-respond” text, a visual item, and a powerful hashtag, and it can become the Twitter news of the day. As a side note, it helps to use hashtags and mentions that work for your location. Researcher Andrew Mcclelland’s hosting of a Twitter Talk to find out people’s most valued places in parts of Northern Ireland is a good example of this. He used the Twitter hashtag #MyValuedPlaces to support the sharing of his Maptionnaire survey and received a good response from it. Maptionnaire’s own Instagram channel is a place you will see coffee cups, the team playing Nintendo Wii, and snapshots of other fun activities we do. Despite being one of the biggest social networking services, Instagram isn’t likely to bring many respondents to your questionnaire. This is because Instagram doesn’t currently allow link sharing. The only clickable link you can share is the one in the main profile. However, spending a couple of minutes on sharing a post about your questionnaire project won’t bring you any harm. In fact, we’ve seen some of our customers use Instagram for this purpose quite well. 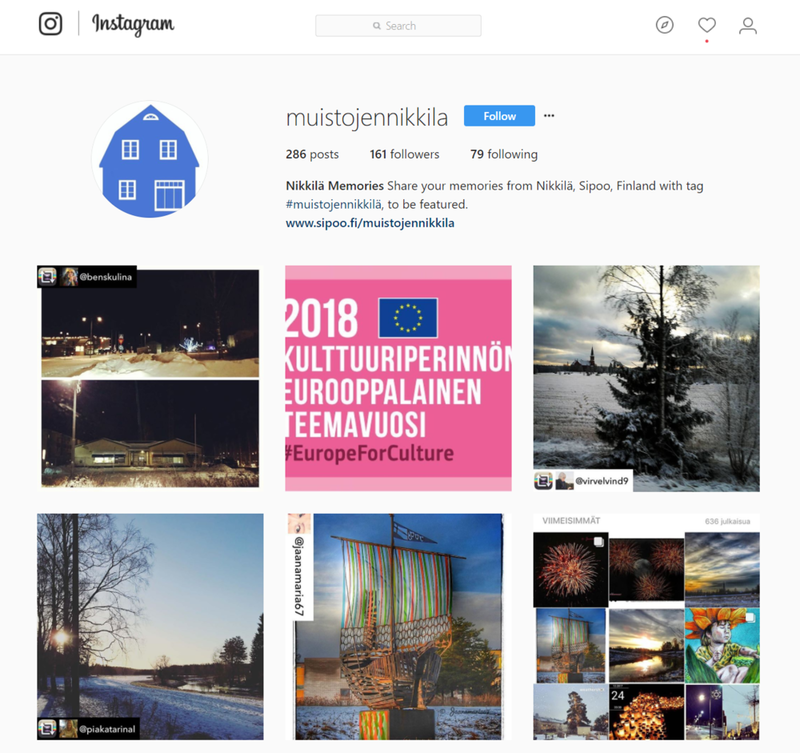 The “Memories of Nikkilä” is a good example of a project where Instagram sharing worked very well. The municipality of Sipoo’s decision to use Instagram for this project was a great idea since memories are best represented by images. The project team shared the images they collected on Instagram, enabling residents to reminisce their memories together. 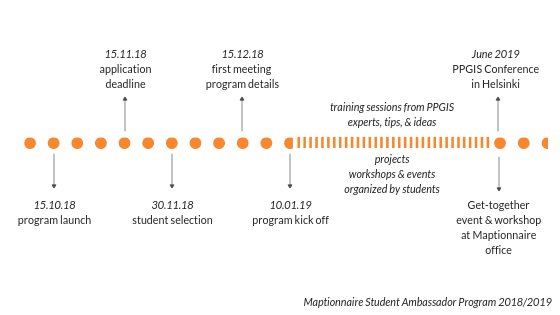 You can read more about the project on our customer stories. Questionnaires can also be shared through other channels such as Pinterest, LinkedIn, and Google+. They are, however, far less popular and might not bring enormous results. Yet, they will add up to the branding of your project. If you have any good stories about sharing projects on social media, let us know - we love hearing good stories! Also, remember to follow us on Facebook, Instagram, Twitter, and Linkedin!